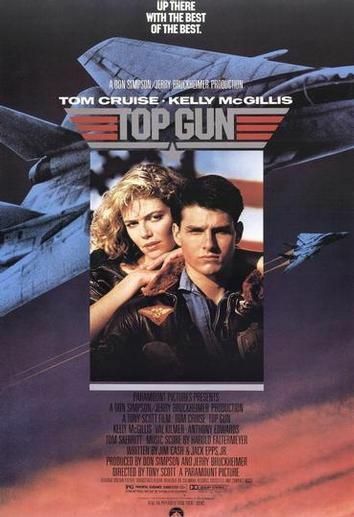 Article first published as 3D Movie Wish List: Top Gun - Best of the Best Edition on Blogcritics. I'm going to go old school for my 3D movie wish list pick. Let's take a trip back to 1986. That year, I went to the World's Fair, my beloved Chicago Bears had just won the Super Bowl, and the classic, Top Gun was to be released. Nearly 25 years later, I still find myself rooting for Maverick over Iceman, yet hope that together, they can successfully take down those pesky Russians. But, wouldn't it be something if I was somehow more immersed in the action? Say "hello" to Top Gun, 3D style. We open with Maverick joking with Mother Goose, engaging with a few Mig-28s, before Cougar gets jolted after being targeted. He's got to land his plane, and viewers will get to experience the shaky finish all in 3D. We experience Maverick's bold touch down and take off scene where he shows his true colors and risks his life in order to help a friend. For the final scene, it's as if we're right next to Cougar in the cockpit as he has to "call the ball" in order to touch his plane down on the aircraft carrier. Fast forward to Miramar, California, home of the Navy's Fighter Weapons School. We get to joyride with Tom Cruise on his motorcycle as fighter jets take off to the left and right of us. Once settled into our F-14 cockpit, we join the engaging duo on our first training mission, get a lock on Jester (who cares about the hard deck? ), and celebrate the victory by doing a fly by past the control tower. Coupled with a solid surround sound system, the only thing missing from our 3D experience is the smell of the spent jet fuel and spilled coffee. A Top Gun in 3D movie would not be complete without the famous volleyball game at the beach, followed by a romantic dinner with Charlie (Kelly McGillis). The action would be intense in both scenes, and volleyballs coming at us in 3D give us a preview of what live sporting events would be like, and the deep blue hues of the love scene coupled with Berlin's ballad, leave us breathless indeed. However, this isn’t a rom-com, so we’re back in our aircraft as we finish the movie taking down enemy fighters as we “pull the brakes” and let them fly right by us. Certainly, there are better action movies out there, and ones that may be more deserving of the 3D technology (Avatar is a great example). However, I still return to Top Gun as a film that got me exciting about flying, interested in military aircraft, and appreciative of the risks and dangers of landing on a airstrip at sea. I think it would be a fine choice to create a 3D version to celebrate its 25th anniversary next year. Check out the entire Dreaming in 3D feature on Blogcritics.